The Mumbai-Ahmedabad High Speed Bullet Train that was launched during the recent visit of the Japanese Prime Minister has evoked much positive attention across the country, and rightly so. 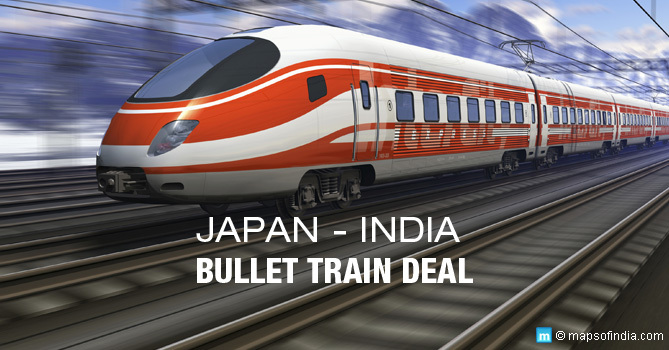 The launch of the bullet train represents an assertion of India’s power in the world. It is by building strong infrastructure, possessing an edge in Science and technology and superior economic and military capabilities – and, of course, nuclear power – that countries are nowadays judged on the global stage. All of these are superficial metrics at best but have their temporary place in the current scheme of things. 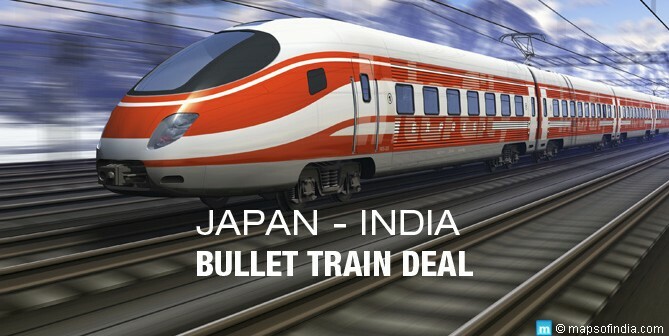 Ironically, the bullet train that is being lauded in India now – in 2017 – was launched by Japan itself in 1964, to consolidate its post-Second World War ascension to economic power. Bullet trains are also already functional across Europe and China. This shows that, despite all the hullabaloo here, this bullet train is too little, too late. Our country has been steeped in political and economic feudalism perpetuated by the disastrous thinking of the Congress party, where all major goods were cornered by the first family and those close to it, while the rest trickled down to the people. Innovations and material progress – temporary at best – were simply an incidental by-product, rather than the outcome of any purposeful efforts. The previous regime simply did not care about making India a globally assertive power. So, had it not been for the tamas and feudalism of the past, the bullet train would have come long ago. That is why the launch of the bullet train and all the glittery development it symbolizes is a much-needed change for the country. This is one of those projects that should not be judged by any cost-benefit analysis. Of course, even if we do take up the cost-benefit calculus, the project is coming to us almost free at present value. Yet, there persists a view that instead of introducing the bullet train, we should have revamped the existing flailing railways of the country, especially in the wake of so many accidents and other major handicaps. However, what the pessimists often fail to realize is that both things should go hand-in-hand. Modernization and revamping of the Indian Railways contributes to the process of assertion of India’s power on the world stage, as the introduction of the bullet train does. Both are two separate things – motivated by a similar logic – and one cannot be substituted for the other. Similarly, practical concerns about high tariff rates and ensuring enough passenger traffic daily on the Mumbai-Ahmedabad route to keep the project viable and competitive vis-à-vis modes with similar rates like regional airlines, are minor details and suggestions that a capable business model should work out for itself. They are not hindrances which should motivate us to disregard the project altogether. Yet, this is what is happening in certain quarters, ostensibly in the name of India’s low-income population that cannot afford such luxuries. What is not being seen is that the bullet train is not a debatable luxury but a necessity for a country like India, in this day and age. It will have tremendous impact on the psyche of the country, becoming a symbol for the country’s material progress. We did not discard Indian Railways or Air India just because they make losses, did we? These two are a symbol of India’s material progress abroad. It is the same with the bullet train. Economic calculations are not relevant here, especially in a country that has launched and sustained some of the world’s most ineffective social welfare and economic programmes. So, let us be clear – the bullet train is not a utility project whose merits can be judged by its economic sustainability. In an era where economics is failing and economic viability has become a joke, with unexpected and regularly misplaced thinking taking the world’s economies for a toss all the time, the economic argument becomes rather thin. It has been proven time and again that the economic development and services we keep talking about are an illusion – in the face of falling real incomes and welfare, with GDP becoming hostage to even negative contributions, like rising health problems and crime rates. This is a fundamental fact about the economy which we cannot delve into here, but which conclusively puts the economic arguments about the bullet train to rest. The reality of economic development shows that economic calculations are a poor yardstick to judge projects that will have a psychological impact upon the country – like it had for the post-War Japan. It is not the economics that is misplaced about the bullet train, but something else – namely, our national priorities. All the noise and glamour that the bullet train project is surrounded in, shows that we have false hopes for the future. The bullet train – for all its positive impact on the nation’s psyche – comes a little too late. We are virtually standing on the verge of extinction, so exacerbated has the world’s collective condition become. At a global level, there is not just massive environmental and planetary disaster staring us in the face, but also an imminent threat of World War III, with all countries ratcheting up their nuclear arsenal and lethal micro-managing technologies and starting a vicious arms race. Internally, at the level of the country, we are falling into ever greater moral degradation and the roots of corruption remain as strong as ever. So steeped are we in this moral degradation of the national character, that the spiritual light and world leadership that India needs to provide to the world is nowhere to be seen. For that to happen, India needs to break away from moral corruption and massive materialistic illusions. But we do not even realize that we are in such a condition, forget about rectifying it. And this is really where this government is failing to pull up its socks. The government had made many promises when it came to power, and one of them – the most important – was a reference to India’s position as the guru of the world, which PM Modi himself invoked by referring to Sri Aurobindo. Where is that spirit gone now? Yes, the catchword of ‘development’ helped this government to win elections – time and again – with a resounding majority. But the purpose of this strength was so that real changes could be brought about in the country. For the first two and half years, this seemed to be happening, but now we have again become prey to this false bogey of ‘development’ – which was just supposed to be an election mantra and nothing else. The government needs to realize that if it thinks that it can actually start pursuing ‘development’ and take India’s moral and spiritual resurgence for granted to be put on the backburner, it will become irrelevant to the purpose it was given power for. These issues – about India’s destiny and role and about the world’s impending material disaster which will finish everything – are so urgent that they should become the subject of serious burning national debate. The fact that this is not happening even faintly and all the hullabaloo we have created about basic things like bullet trains and chasing development, show that India has still not really woken up from her slumber. Previous ArticleNorth Korean Crisis: Too Late to Turn Back?